Replacement ratio and final average earnings are two ways to calculate retirement savings. 1. What Should Your Nest Egg Be When You Retire? Many retirees attack their retirement planning with a precise approach. 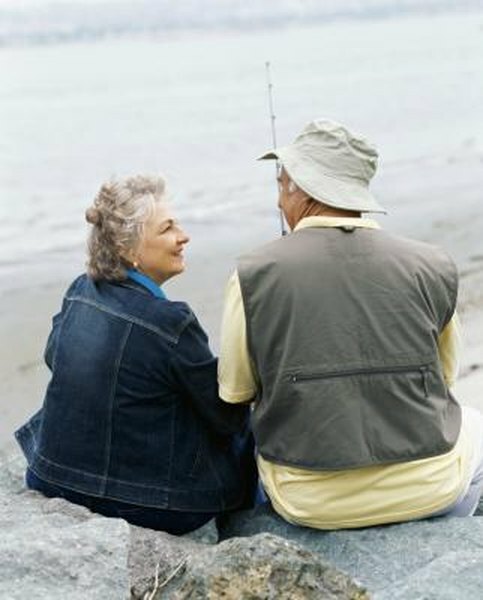 They already know how much income they will need to sustain their preretirement lifestyle. However, thousands of others have no idea where to start with planning the amount of income they must save to maintain their current comfort levels. Financial planners and retirement savings consultants can offer these individuals useful estimates that include the replacement ratio and final average earnings. A “replacement ratio” allows workers to estimate the percentage of annual income they will need when they reach retirement age. The ratio assumes that the employee's lifestyle after retirement will resemble or approach that of the employee's working years. This ratio works assumes that the employee's post-retirement income will be between 70 and 85 percent of his working income, as retirees often have fewer expenses and lower taxes than active members of the work force. The methods for calculating a retiree's replacement income involves examining her current income, financial needs and income sources. Say a prospective retiree has an annual income of $120,000. The replacement ratio can range from 70 to 85 percent, so the retiree's replacement income can range from $84,000 to $102,000. The retiree and her financial planner must examine where to find income sources to meet these figures. Income sources can include 401(k) plans, Social Security and other investment income. Final average earnings is the employee's gross yearly income at retirement age. Gross income includes salary, sales commissions, investment income, real estate income and other revenue sources. While some of these sources may still be available after retirement, the retiree must determine how to replace the salary and other work-related income sources. Government-funded sources, such as Social Security, often fall well short of providing the full amount, so retirees must look to other sources to fill in the gaps. The replacement ratio and the final average earnings totals are not intended to be precise measurements of how much the retiree needs to save. Instead, these estimates function as a benchmark to help retirees understand the amounts they will need to maintain their current lifestyle after retirement. Also contributing to retirement calculations are mortgage payments, car loans, credit card debt and tuition expenses for children. How Do I Calculate Future Retirement Pay?